Excellent for large projects and frequently updated documents. 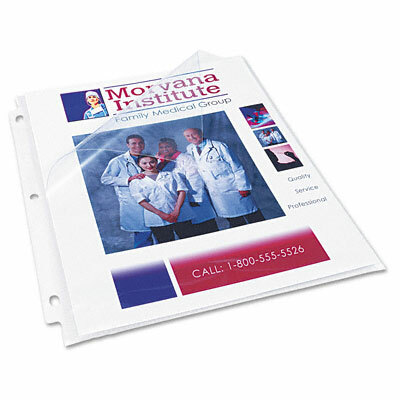 Open on two sides so you can quickly and easily load pages into sheet protectors, cutting load time in half! Acid-free, archival-safe, nonstick material won't lift print off inserts. Diamond clear cover offers exceptional clarity. Excellent for large projects and frequently updated documents. Ideal for presentation use.